Taxing and collection of taxes on drill rig gas production continues to be a hot topic in Pennsylvania. Gov. Tom Corbett remains 100% against any type of gas production tax. However, many local politicians are pushing for some type of tax or severance fee to protect local communities such as Susquehanna, Bradford, Tioga, Potter, Lycoming, Wyoming, Sullivan, Luzerne and other counties in Northeast and Northcentral Pennsylvania affected by the drill rig industry. 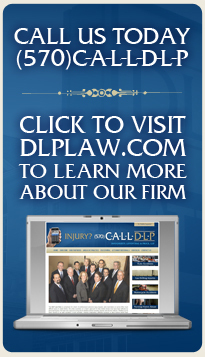 DLP continues to monitor this issue for it’s clients as it represents individuals injured in drill rig, truck and other serious accidents related to the gas industry.